A few weeks ago, I shared with you one of my new favorite nail polish shades for 2016, from French brand, Paul + Joe, Buddleja Nail Polish. 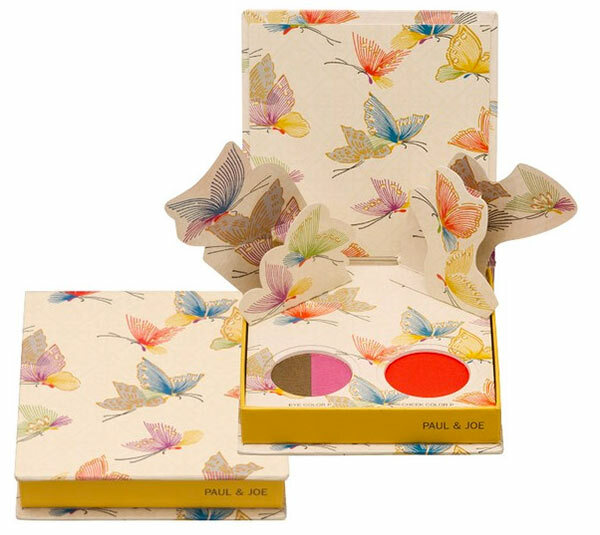 When was the last time you had a compact with beautiful shades that also included stunning butterfly artwork in the form of pop-up paper art? The palette was inspired by the brightly colored wings of the butterfly. The palette comes with 2 eye shadow shades (a beautiful shimmery bronze with copper accents) and a medium, warm pink, and 1 powder cheek color in a orange/red shade. The eye shadow is so pretty and very versatile. The shadows are smooth and blend easily, with no fall out or flaking. They last quite well on their own, and really having staying power with a touch of primer. I loved using the colors together, but each one works on it's own for a pretty look - both day and night. The blush may look too bright in the pan, for some, but the finish is a warm wash of color that's buildable and looks great on pale and very dark skin tones. *This product was provided courtesy of Paul + Joe Beaute PR for reviewing purposes.